You already know that at Custom Holiday Lights we pride ourselves on providing a stress free install, a beautiful display, and an easy take-down for your homes during the Holiday Season. What you may not know is that we also specialize in your commercial and municipality productions as well. Our jobs include everything from HOA’s, commercial buildings to parking lots and much more [fancy_link link=”http://customholidaylights.com/gallery/” variation=”red”]Check Out Our Gallery Here[/fancy_link]. 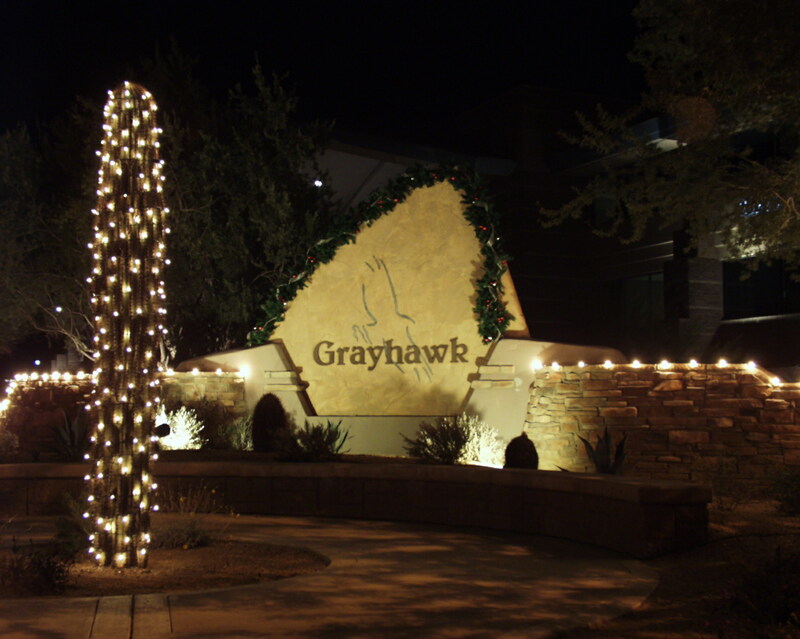 Grayhawk and the City of Scottsdale are just some of our many reputable clients. CHL’s other specialties are artificial pre-lit trees and custom wreaths & garlands. Make sure you get the right decorations and lighting for your HOA or company building this year. Call to get on the books now to meet with our owner & design expert, Chad, for an consultation and set up an install date!